Time flew and it was exactly one year ago when we first visited PUTIEN at Gurney Paragon along with its grand opening. If you haven’t read our previous post, now it is the best time to do so. 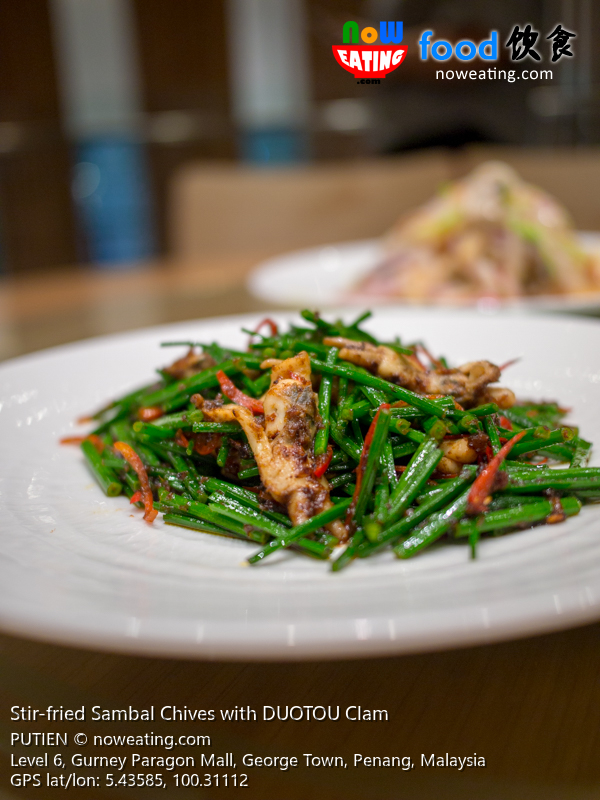 Be sure to try out their signature dishes such as Fried Heng Hwa Bee Hoon 興化炒米粉, PUTIEN Sweet & Sour Pork with Lychees 莆田荔枝肉, and “100-Second” Stewed Yellow Croaker Fish 百秒黃花魚. 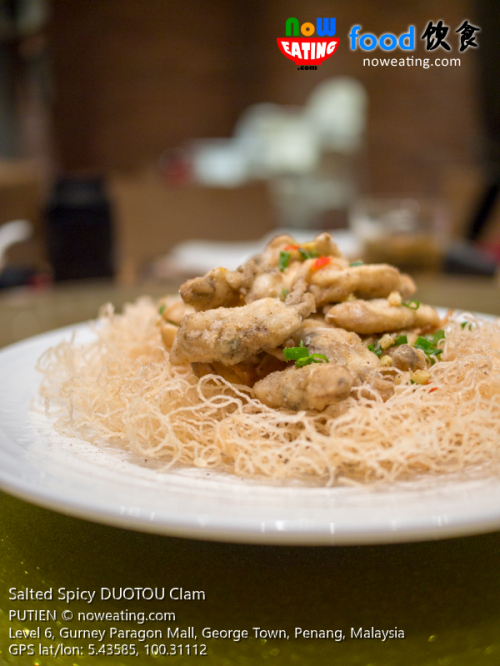 DUOTOU Clam Festival is an add-on to already-perfect menu. Among 8 dishes of DOUTOU clam, Baked DUOTOU Clam on Hot Plate 铁板盐焗蛏 is the best seller, hands down. 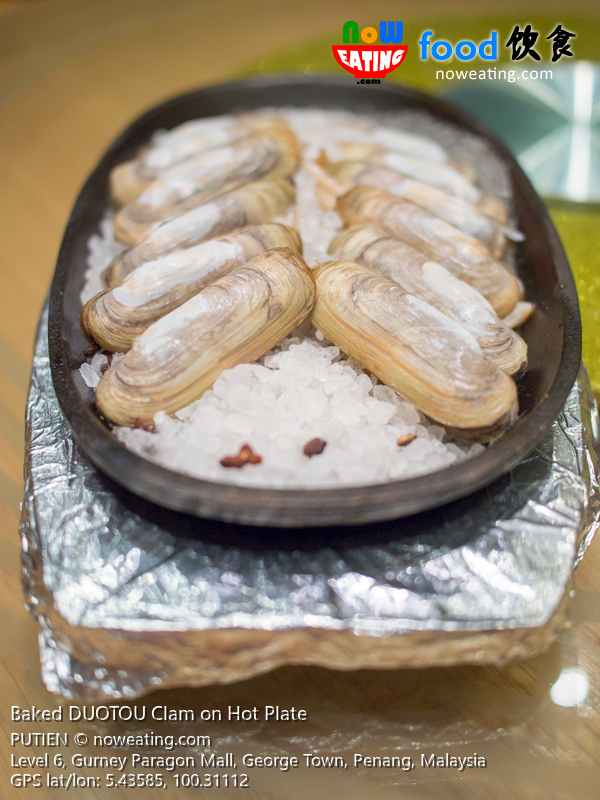 If you wish to try out the clam at its original taste as much as possible, this is the plate to go. 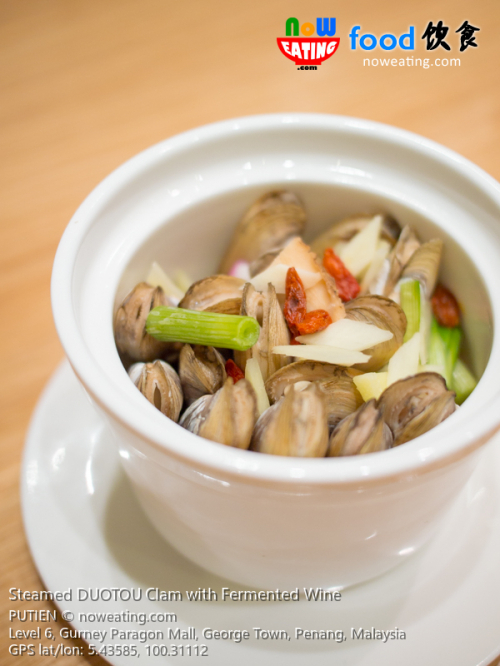 For adults like us, the number one goes to Steamed DUOTOU Clam with Fermented Wine 老酒竖蛏 – an offering brimming with fresh clams, steamed with traditional Chinese wine – Huadiao 花雕酒 to release a heady aroma. In contrast, DUOTOU Clam Omelette 哆头蛏炒蛋 is a kids-friendly dish. In fact, we enjoyed it as well. 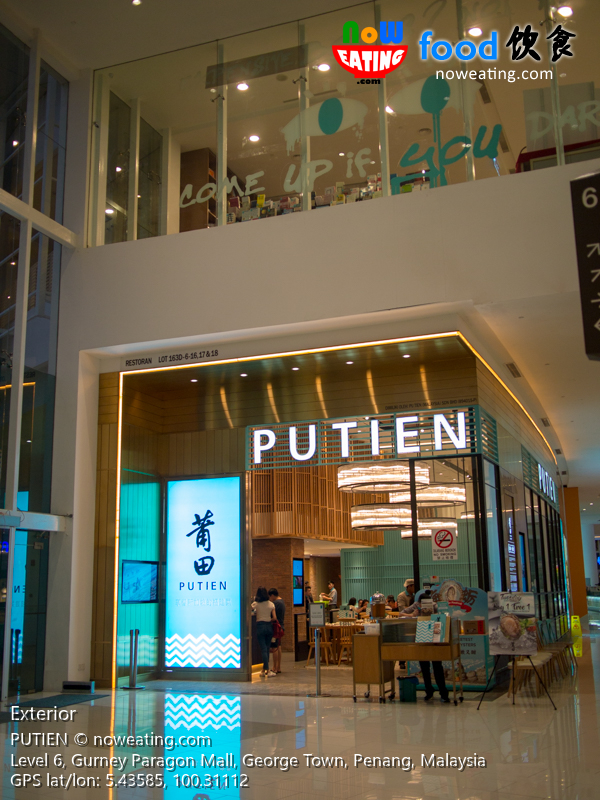 Best dip with PUTIEN’s Signature Spice Mum Chili Sauce available on each table. Salted Spicy DUOTOU Clam 椒盐哆头蛏 is incredibly addictive! Lightly battered with chopped chili, salt and pepper, then deep-fried into crisp texture, this dish is best paired with alcoholic drinks. 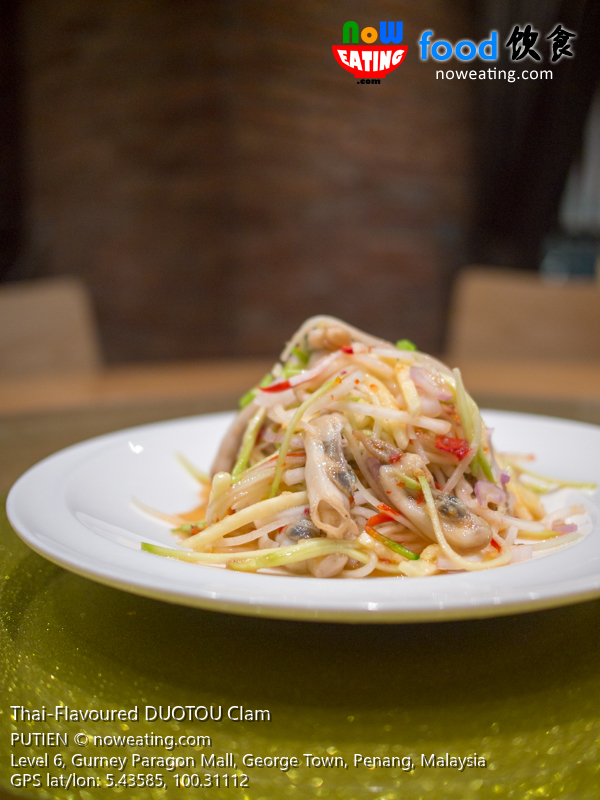 This years, PUTIEN introduced two new favors, including Thai-Flavoured DUOTOU Clam 风味泰式蛏 with succulent clams tossed in homemade Thai sauce with refreshing mix of 6 different fruits and veggies. 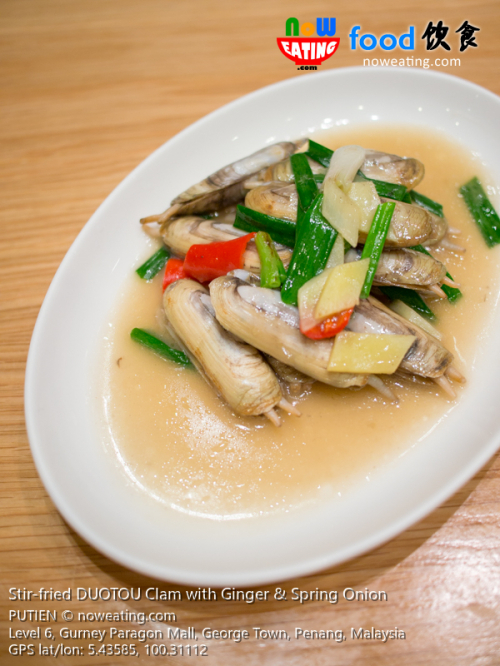 It has mild spiciness and definitely will not ruin the experience to taste the sweet clam. Stir-fried Sambal Chives with DUOTOU Clam 叁芭爆蛏肉 is another new addition this year. As a whole, a mollusc with sweetness hardly found in Malaysia. 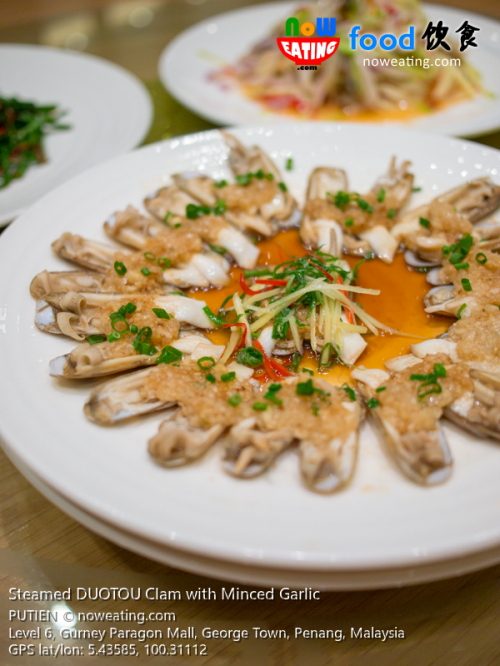 If you are clam lover, be it oyster, mussels, Kappa or Lala, do pay PUTIEN a visit before 31-August-2019 for its DUOTOU Clam Festival. 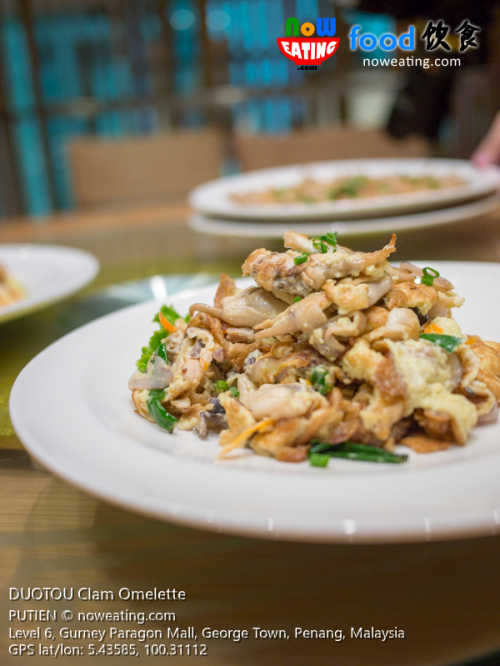 Pricing-wise, each dish is ranged from RM71.90 to RM76.90. 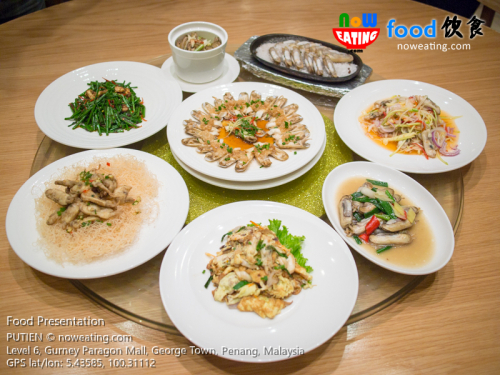 Select any two dishes for RM138.80. Which two dishes you will go for? Let us know in the comment below!